The City of Kisumu in Western Kenya is the ancestral home of President Elect Barack Obama, but one would think that Obama is running for office there and not in the United States. There is undeniable embrace of Obama. The day after the US elections, Nov. 5, 2008 was declared a national holiday to celebrate his victory over Sen. John McCain. According to several news reports, mock elections were held all over Kenya. There is a theater staging a musical called "Obama" celebrating his life. The government is even making plans to host President Elect Barack Obama, even though he has not given any indication if or when he will go to Kenya. This celebration has been going on for years now. Ever since Mr. Obama's election to the US Senate and his memorable trip to his father's birthplace in 2006, there have been schools named in his honor and his portrait has been on display all over Nairobi and other Kenyan cities. Why are these people so fixated on Mr. Obama? Could it be that they are trying to escape the political and ethnic clashes between the Luo and Kikyu that happened in Kenya in January of this year? Kenya has seen some of the worst violence since their independence from Great Britain some 45 years ago. Could the president elect’s victory offer them any lessons about diversity? Why can't Kenya embrace its own ethnic diversity? Why is it that an all black population is fighting each other so viciously? Kenya, home to the largest United States Embassy in Africa, borders Somalia, (a staging ground for Islamic terrorist activity and pirates kidnapping of ships off their coast). The political factions and resulting violent strikes have been unbearable; perhaps the new Obama administration can push the Kenyan president, Mwai Kibaki for change. But maybe the biggest change that Mr. Obama could inspire is to be a model for change to Kenya's political reality. Whatever the case, President Elect Obama's victory can boost this battered nation's pride. 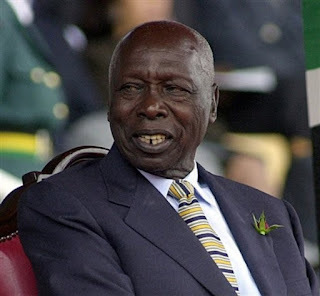 Kenyans could do well if they follow his advice on his trip there in 2006: "I can say that from the perspective of the US, they look at Kenya and all they see is Kenya. They don't pay attention to Luo and Kamba and Kikuyu and Maasai and so on. If people start taking a global perspective, they will begin to realize that Kenya can't afford to be divided like this" This is what Obama told The Nairobi Media Group in 2006. Can Kenya's Obama fantasy come through?